Well, so much for using iCloud to sync my iPhone and MacBook. Apparently it requires Mac OS X 10.7.2 or higher, and I'm still using Mac OS X 10.6 (Snow Leopard). 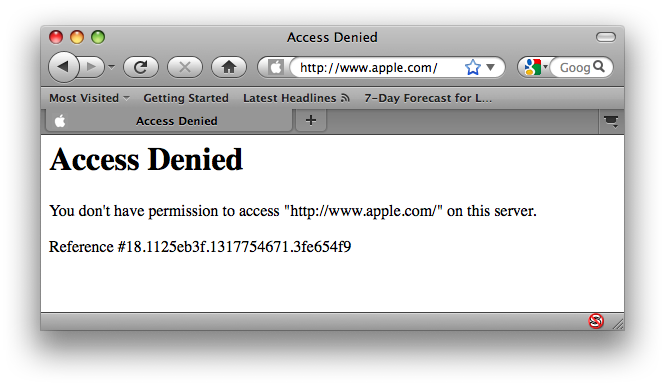 So none of those fancy iPhone to Mac features will work for me. I suppose I could update to the latest version of Mac OS X, but right now, I'd rather not. I'm waiting to upgrade my MacBook to a newer version some time later. But not quite right now. Right now I'd rather just wait. This is an archive (essentially) of Mega Man X Race over on the Something Awful Let's Play forums. It's in the second round right now. This is just a list of the groups and the videos. Posters are listed by their Something Awful names. Details about the race are over at the forums, you can check them out over there. After watching an episode of Kitchen Nightmares (sadly the US version, the UK version is better), I decided it might be time to try and get some takeout from one of the many local restaurants in my area. Unfortunately, I am a bit of an "introvert," and therefore don't know anyone in my area and know next to no restaurants. So to Google Maps it is to look at local pizza places. That finds me today's entry for "Restaurant Website Nightmares," Jimmy's Pizzeria. So the PSN Welcome Back thing is live now. You have 30 days (I think) to choose your prizes. As a public service, here is the list of games provided and a link to their Metacritic scores are after the break.